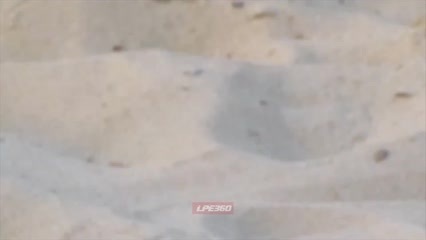 Man eats glass and sand on beach in Sierra Leone. 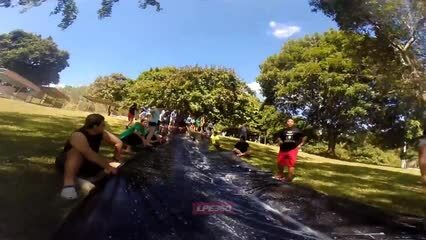 Guy attempts to dive off high dive but tumbles off before he gets going. 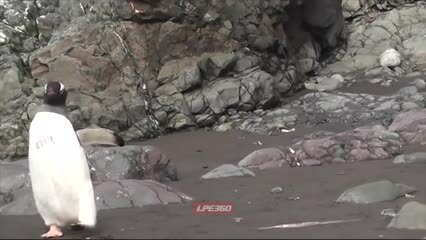 A penguin steps over an elephant seal as he makes his way over some rocks. Fighting and punching a guy from a first go pro point of view, as a prank. 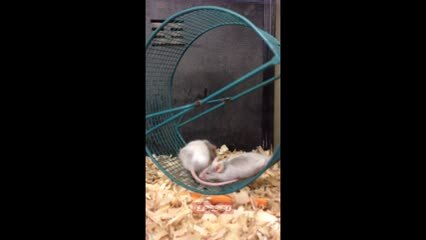 Hamster is stuck in the wheel and spins full circle. 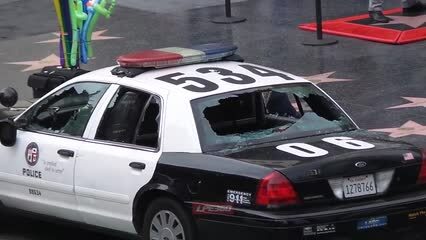 Man smashes windows of a parked police car in Hollywood, California. Man doing a strongman style deadlift of a trailer loaded with weights projectile vomits. Skateboarder attempting a ramp drop in fails and falls.